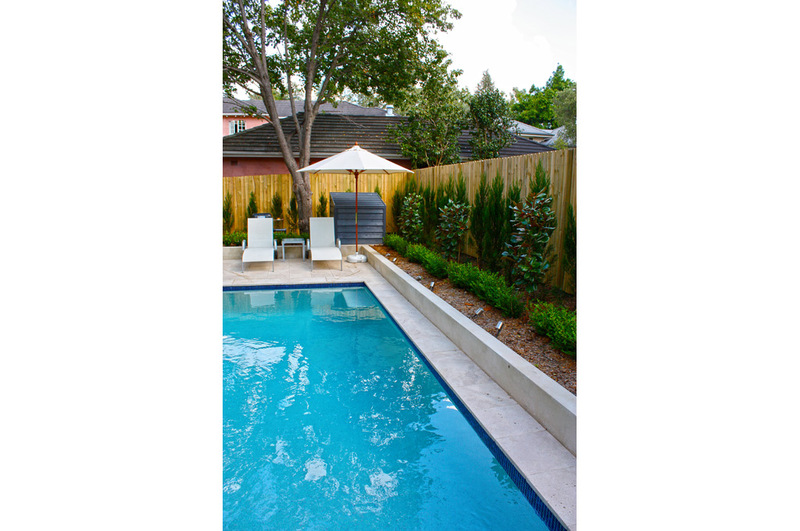 Positioned in a sunny, level rear yard, this simple and elegantly designed pool balances great enjoyment with easy maintenance. 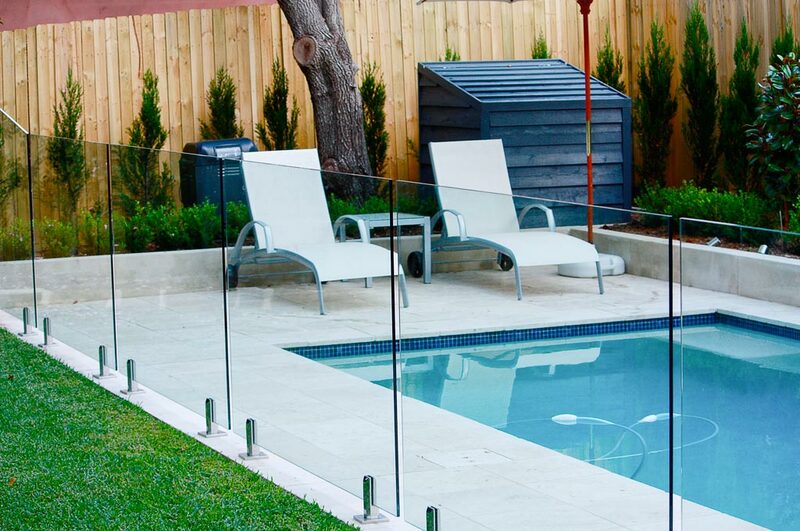 In keeping with the lovely English-style garden and clean lines of the house, wide walkways have been incorporated and classic glass fencing is used to maintain the uncluttered ambience. 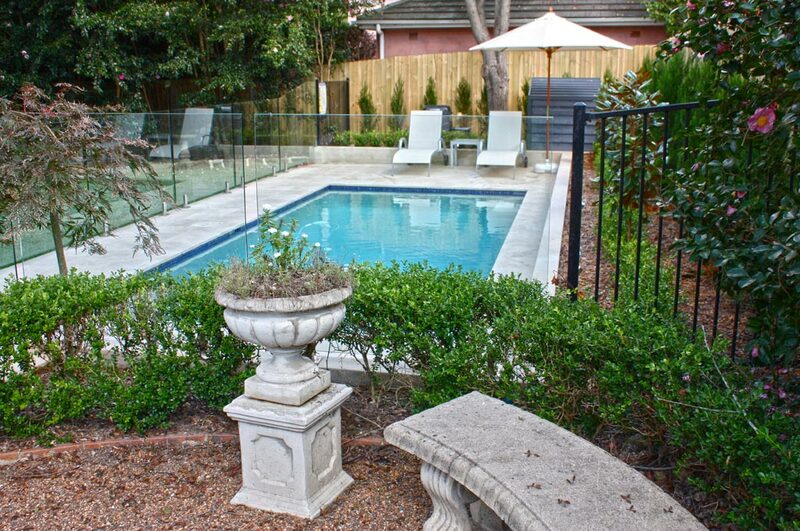 White pebble blue-flecked lining and blue glass mosaic waterline tiles add a beautiful shimmering effect to the whole pool. 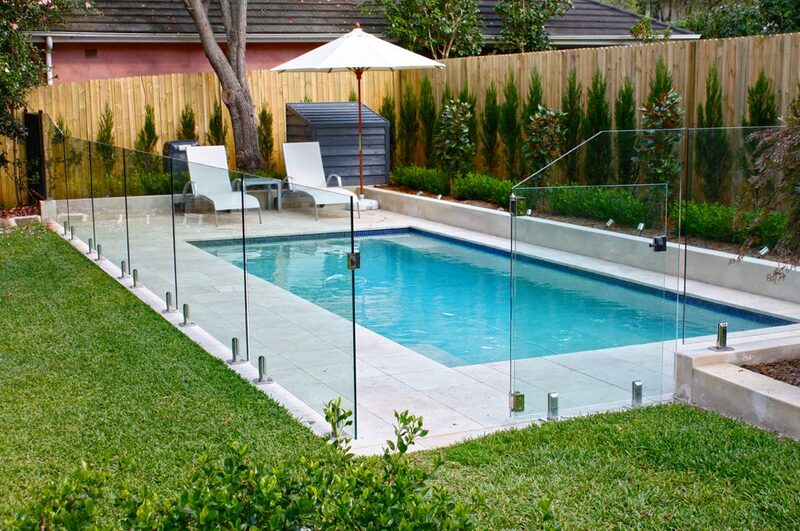 The coping has a traditional look with the use of natural Himalayan sandstone. 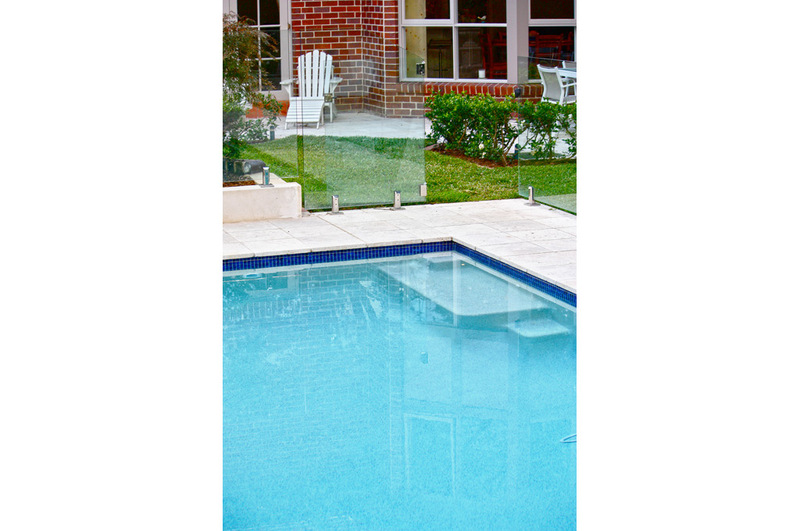 This glass fenced pool is gas heated for year round use and takes great advantage of a state-of-the-art jet back cleaner that makes light work of heavy leaf debris, especially prudent as the yard has many established trees.